Hand dyed sock yarn. 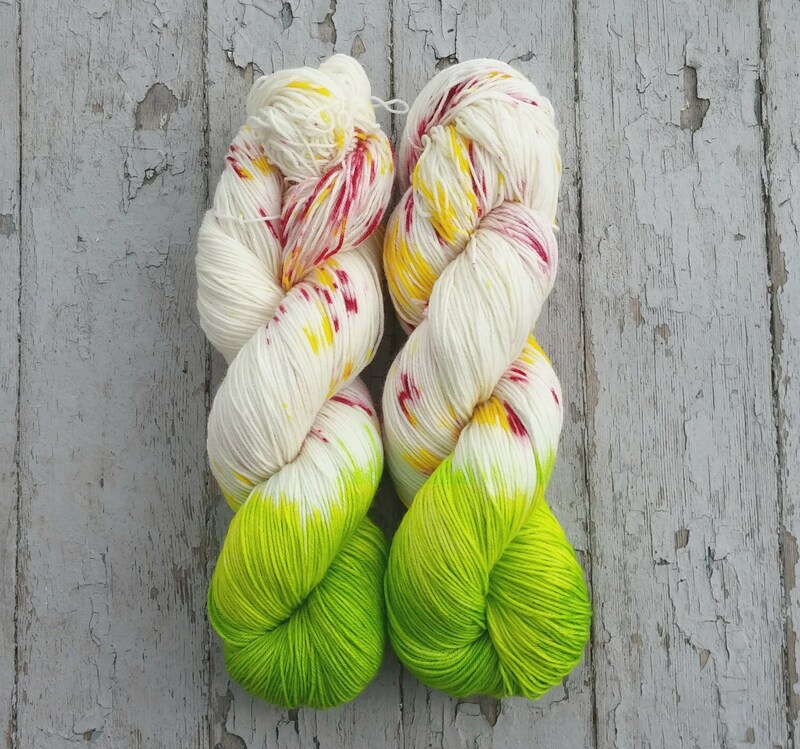 This yarn is dyed in a vibrant, spring green transitioning into a bright chartreuse green and finishes with the natural creamy white yarn with splashes of yellow and a rhubarb red. This listing is for 1 skein of Staple Sock. 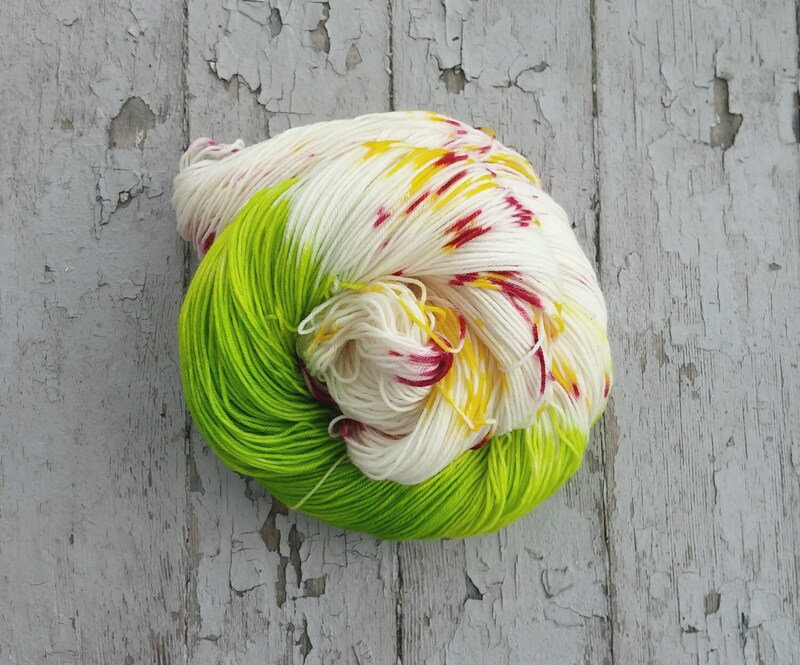 Beautiful Sour Apple Green on White with Red & Yellow Splotches on Superwash Sock Yarn ... Hand Made & Hand Dyed ~ Gorgeous Yarn!! ... Exactly what I wanted! .... 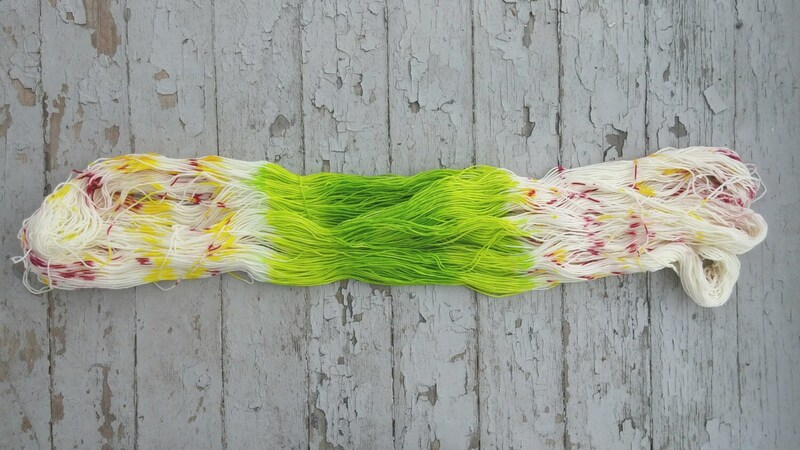 Beautifully Spun & Dyed Yarn! .... Gorgeous Coloring! .... Great Communication! .... Immediate Packing & Posting! .... Great Job! .... Thanks Much!! This is such a stunning colorway! I cannot wait to use it.